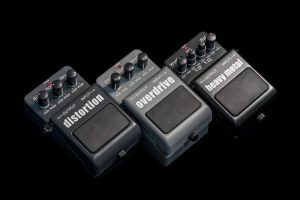 There are plenty of mini amps that have the same power and drive as their larger counterparts. 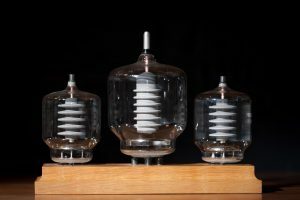 Out of all the candidates, here are the best four mini amps. Read further and discover which one you’re meant to own. The upgraded chip improves the output power compared to the previous model. You work with a 50W output for both channels. 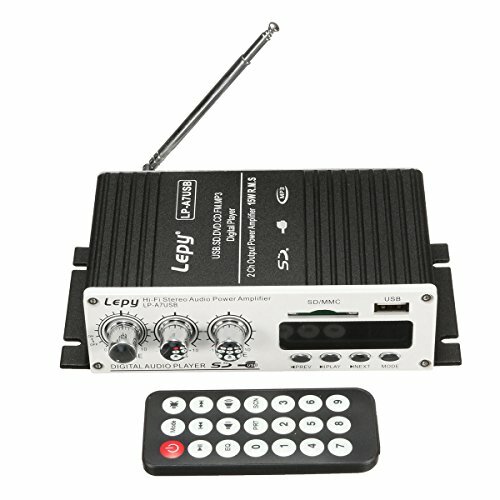 The USB, aux and Bluetooth input enable you to connect your Smartphone, MP3 players, tablets and computers to this mini amp. The Bluetooth technology is upgraded for a more stable connection. The Bluetooth connectivity range is 10ft. If the mini amp is connected to a computer the range is shorter. The amp is easy to carry because it’s almost weightless. It has a strong construction to protect against impact during transport. 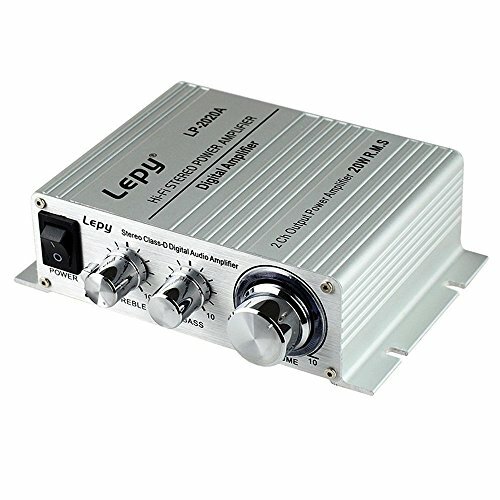 This mini amp is designed specifically to be used in the car. You can connect it to your car’s factory system. The amp has a digital display and an electrical keypad. These two items help you operate the amplifier easily to get a setting best for your music taste. There is a super bass button mounted on the amp. With a push of a button you can get a heavy bass effect and you’ll hear a difference immediately. The case is made of aluminum alloy and its sprayed with sand oxide. These materials protect the amp from heat. The amp has an imported transistor circuit design. This circuitry contributes to a low noise, high fidelity amp with an FM function. USB and SD ports are alternative music inputs. The two channels produce 50W power each. It has the power to drive amplified sounds on 2-8Ohm or 20-200W speakers. The power adapter is 19V which is stronger than the standard 12V. The higher voltage power adapter works well with a digital amp to provide a clear and distinct sound. You can connect your Smartphone, tablets and other music devices to the amp. You can also stream music or movies. There won’t be a mismatch between lip movement and what is heard. The amp has a TPA3116D2 chip for a better sound clarity. When you power the amp, there is no popping sound. You’ll notice immediately the boost in the sound performance. The amp has a simple and compact design so you don’t have to sacrifice much space. The case is made of aluminum for added durability. There are dial adjustments for the treble and bass. You can toggle between these settings to find the frequency you prefer. The amp has a built in loudspeaker protection circuit. This is triggered the moment the amp is turned on which protects your speakers from high audio volumes. There is also a high voltage protection circuit. The amp will shut down if the voltage exceeds 14.4V DC. This is to protect the internal components from overworking which leads to malfunctions. 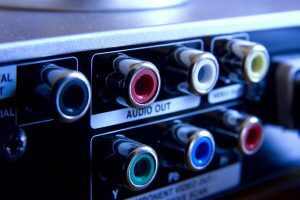 The amp supports an RCA input and it can connect to most music devices. 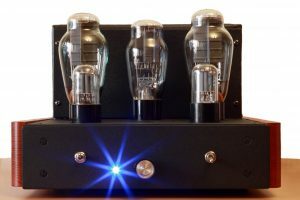 The compact amp has enough power to drive 4-Ohm to 8-Ohm speakers. You can adjust the original audio to a treble or bass that suits your need with the tone or direct button. The loudspeaker protection circuit can be triggered to protect the speakers from volume spikes. As you can see you need a mini amp to improve your car or home sound system. You’re missing out on some epic sound experiences. The ONEU amplifier is amazing because you can use it virtually anywhere. Alternatively, choose the one that aligns with your preferences and enjoy!